Centel Media, the top online reputation management companies offers a variety of services such as, social media optimization. Social media optimization can help prevent and rebuild after incidents such as the hacking of CNN’s social media accounts. It seems as though everyone from all races, ages, and area codes are affiliated with some kind of social media site. The medium has even become an important aspect of business affairs as well. The last thing anyone would want is for their social media site to be compromised for any reason. For example, the Cable News Network or CNN as it’s commonly referred to as is one of the leading news channels in today’s society. 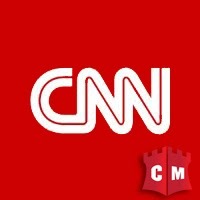 Last Thursday, some of CNN’s social media accounts were hacked. Making sure your social media page is properly optimized is one of the ways we can deal with this issue. The accounts that were affected include CNN’s main facebook account, CNN politics facebook account, and both their main and security clearance Twitter pages. Other accounts that were compromised were blogs for The Lead, Political Ticker, Crossfire, Security Clearance, and The Situation Room. The hackers who invaded the site claimed to be apart of a Syrian Electronic Army. This group consists of pro-Syrian hackers who aggressively target major activists and news organizations. The Syrian Electronic Army has previously claimed to be responsible for last year’s 20-hour blackout of the New York Times website. The comments that the hackers posted on CNN’s twitter account said “The Syrian Electronic Army was here...Stop lying...All your reports are fake!” Another comment posted by the group on CNN’s twitter account explained their reasoning for hacking which was to retaliate against “viciously lying reporting aimed at prolonging the suffering in Syria.” The comments were immediately handled by CNN but not without possibly causing some damage to their online reputation. Social media optimization should definitely be considered to help repair damage that has occurred due to an incident similar to CNN’s. The top online management company Centel Media, assists clients in gathering or regaining those likes and/or followers on social media sites. It is extremely important to utilize everything that Facebook and Twitter have to offer in regards to making your presence known in the social media world. Centel Media can make sure that your presence is not only a big one but a positive one as well. A lot of businesses underhandedly attempt to expand their social media sites by buying those likes and followers. However, our team of web experts get the same results for their clients but in a way that will represent their brand respectfully and honestly. So if the army comes at you, make sure you have Centel Media to fall back on. Martin Luther King Jr. was an American clergyman, activist, and leader in the African American Civil Rights Movement. 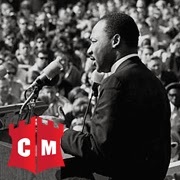 He is best known for his role in the advancement of civil rights and his use of nonviolent civil disobedience. King has become a national icon in the history of America progressivism. national attention following television news coverage of the brutal police response. King also helped to organize the 1963 March on Washington, where he delivered his "I Have A Dream" speech. There, he established his reputation as one of the greatest orators in American history. He also established his reputation as a radical, and became an object of the Federal Bureau of Investigation's COINTELPRO for the rest of his life. FBI agents investigated him for possible communist ties, recorded his extramarital liaisons and reported on them to government officials, and on one occasion, mailed King a threatening anonymous letter that he interpreted as an attempt to make him commit suicide. inequality through nonviolence. In 1965, he and the SCLC helped to organize the Selma to Montgomery marches, and the following year, he took the movement north to Chicago. In the final years of his life, King expanded his focus to include poverty and the Vietnam War, alienating many of his liberal allies with a 1967 speech titled "Beyond Vietnam". King was planning a national occupation of Washington, D.C., called the Poor People’s Campaign. King was assassinated on April 4, 1968, in Memphis, Tennessee. His death was followed by riots in many U.S. cities. Allegations that James Earl Ray, the man convicted of killing King, had been framed or acted in concert with government agents persisted for decades after the shooting, and the jury of a 1999 civil trial found Loyd Jowers to be complicit in a conspiracy against King. posthumously. Martin Luther King, Jr. Day was established as a U.S. Federal Holiday in 1986. Hundreds of streets in the U.S. have been renamed in his honor. A memorial statue on the National Mall was opened to the public in 2011. Plagiarism is never a good thing. 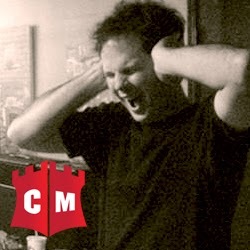 Ask any eighth grader who has written a research paper or talk to Shia LaBeouf, who recently wrote and directed a film called HowardCantour.com, which was a short film about an online film critic of the same name. LaBeouf was accused of copying the works of writer and cartoonist Daniel Clowes. While Clowes himself doesn't seem to have taken any offense to LaBeouf's film, the Internet has made itself a champion for the protection of his intellectual property by calling for LaBeouf's apology. However, although LaBeouf has apologized and continues to do so, lately his comments to his Twitter followers have been mocking and satirical. He even arranged for a plane to write Clowes an apology with its exhaust. LaBeouf is fueling negative criticism of himself and his film by not letting go of the issue. LaBeouf admitted to the guilt of plagiarizing, but both he and the 'Twitterverse' can't seem to leave the situation alone. His post-apology replies have all been plagiarized themselves from other notable acts of contrition by fellow actors, politicians, and even the CEO of Facebook. That makes LaBeouf an Internet troll, which is someone online who promotes antagonistic behavior for personal enjoyment. This may make him look like a punk except for the fact that he originally tried to genuinely apologize. Perhaps this was a publicity stunt, but if it was, it has backfired. He let his emotions get the better of him, destroyed his own online reputation on Twitter, and alienated legions of fans. While LaBeouf seems to be trying to make amends now, what he's done has been a disaster PR wise. Online reputations are not things to be taken lightly by anyone, be it a company or an individual. One day information like this could come back and bite him where the sun don't shine, and farther along in his career LaBeouf will regret both his plagiarism and this whole fiasco with Twitter. Yes, his critics were a major part of pushing him over the edge, but he did admit he was at fault for the plagiarism and he should learn from this mistake. If LaBeouf hopes to rebound from these difficulties, one of the first steps he should consider is online reputation management. And this does not apply only to him: if you have been wronged by critics or are seeking to recover from an embarrassing fall and want to get back on your feet on a positive note online, consider the utilization of Centel Media™'s services. We are the premiere online reputation management firm and specialize in dealing with criticism. Not only do we have products which suppress negative articles, images, reviews, and video, but we also write press releases which are aimed at restoring your reputation through positive reinforcement. We'll also help to prevent this from ever happening again by showing you what it takes to maintain a good reputation. Don't let a nightmare like LaBeouf's situation stop you from reaching your dreams. on a personal list of recipients. The difference between Snapchat and other photo apps, however, is that the user sets a limit for how long the ‘snap’ can be viewed by the recipient, usually between one and ten seconds. Once the brief time is up, the photo is no longer viewable on the recipient’s device, and Snapchat deletes the picture from its servers. This freedom to send information that supposedly disappears and escapes the fearsome “once it’s on the web it never goes away” mantra immediately gained popularity with the 15-25 age group, and later gained earned even more with the over 30’s. The minds behind the Snapchat app, CEO Evan Spiegel and tech expert Bobby Murphy, are certainly thriving and advancing. The Snapchat “revolution,” as some have coined it, has taken off. Now worth $2 billion with $100 million invested in its future growth, the Snapchat brand and reputation has unlimited potential. Or rather, had unlimited potential. Snapchat is reeling from the revelation that 4.6 million phone numbers and user names may have been taken from their databases and published online because of their poor data security procedures. Worse yet, accusers claim Spiegel was told last week about flaws in the security and did little or nothing to fix them. Maybe he thought his company was invincible to a cyber attack, or maybe he was too busy holiday shopping with his millions. His betrayed consumers don’t know and don’t care. Snapchat’s image as a fun, customer-oriented company with a friendly app has disappeared overnight, and it is faced with the daunting task of trying to repair its image with millions of angry customers. Understanding your market and targeting an audience is essential in selling products and building your name. Protecting your name and maintaining credibility even in difficult times requires expert assistance. Centel Media™, the leading online reputation management firm, takes on the responsibility of helping big businesses and small companies brand themselves and maintain a strong positive image online. Centel Media™ invests in the reputation of its clients, so your reputation won’t disappear in less than ten seconds. 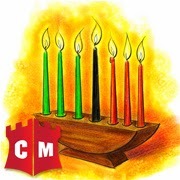 Centel Media would like to wish friends and clients a safe and happy Kwanzaa. 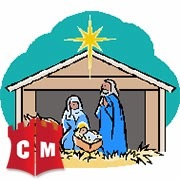 Have a safe and happy Christmas from the Centel Media team. Spying has been a regular part of government work for centuries. But, due to the advances in technology, spying is no longer limited to informants and undercover agents. Love him or hate him, Edward Snowden has opened up the discussion on the morality of how far a government should go to spy on its own people for the sake of protecting them. While he is in essence a whistleblower and a thief, he's also done what he's seen as “the right thing to do.” This has led to widespread coverage of what the FBI, CIA, and NSA do at home and abroad. The latest blow to the program came from a federal court judge, ruling the NSA's spying program to be unconstitutional. He supported his case by saying that the NSA's data collection has yet to stop an attack. This negative coverage is the last thing the NSA wants, but we as a society must take a serious look at the repercussions of such strain on the Fourth Amendment. In response to major terrorist incidents like 9/11, most governments have opted to keep an eye on their own citizens for threats that may exist. But the major question is if the government actually has to collect data on every single person who has a phone or access to internet service. With the NSA's current system, they have the ability to find an individual's phone and track internet usage if they happen to be persons of interest. This seemingly unchecked power has left many angry at the fact that the government has the ability to disregard privacy laws for the “greater good.” This coverage has been so negative that other countries have been looking into their own spy agencies to confirm that they aren't doing the same. So much negative coverage is literally going to drive this program into the ground if the NSA doesn't agree to make some changes. In fact, there is so much negative coverage I find myself wondering whether the NSA has been criticized too much. There are ways to alter the program so it doesn't record everything but continues to maintain some semblance of security. This would probably include making all cases, excluding ones with obvious terrorist ties, temporary and deleted after a certain time. This problem can be fixed. While the NSA has been rightly put under scrutiny, it's overreach is not unsolvable. If your company is being unfairly prosecuted online by competitors or even the public, Centel Media™ can help you get your head out of the ditch. We can supply your company with professional negative suppression services that cover articles, images, videos, and reviews. We'll even counter the negativity with press releases exposing the benefits of your program. The NSA may have a lot to fix and answer to before it gains any respect again, but if your company is facing a similar problem, you shouldn't have to go it alone.